The final report of the review was published in September 2017.
there was an identical increase in the BAME proportion of young people reoffending over the same period. Lammy looked at what happens in a number of other countries to see whether we could learn from experience elsewhere. Two specific examples may be noted. Taking inspiration from youth justice in Germany, Lammy argues that rigorous assessments of a young offender’s maturity should inform sentencing decisions. Those judged to have low levels of maturity could also receive extended support from the youth justice system until they are 21. He also called for ‘Local Justice Panels’ to be established, taking inspiration from New Zealand’s Rangatahi courts, where local people with a direct stake in a young offender’s life are invited to contribute to their hearings. These panels would normally deal with first-time offenders given community sentences, include key figures such as teachers or social workers, and hold local services to account for a child’s rehabilitation. Lammy made a number of innovative recommendations for judges, prosecutors and prisons. He recommended that all sentencing remarks made by judges in the Crown Court should be published. He argued that this could help to make justice more transparent for victims, witnesses and offenders. It would also start to address the ‘trust deficit’ between BAME individuals and the justice system, which Lammy argues has contributed to Black and Asian men and Asian women being over 50% more likely than their White counterparts to enter a not guilty plea. He also argues the UK should learn from the US system for ‘sealing’ criminal records, claiming ex-offenders should be able to apply to have their case heard by a judge or independent body, such as the Parole Board, where they could prove they have reformed. The judge would then decide whether to ‘seal’ the record, having considered factors such as time since the offence and evidence of rehabilitation. If the decision goes the applicant’s way, their record will still exist, but the individual would not need to disclose it and employers would not be able to access it. Lammy hoped this would help the people affected to become more employable. Lammy accepts that there are other wider social issues that must be addressed as well; but he argues that the recommendations he makes could do much to build greater trust in the criminal justice system, reduce reoffending and improve outcomes for victims. Whether or not these recommendations will lead to actual changes on the ground is too early to say. The fact that two Prime Ministers strongly supported the review might suggest that there would be some political impetus for follow-up. But, given other political priorities, I would not expect a rapid response from Ministers. In October 2016, the Justice Select Committee published a report on the role of the magistracy in the criminal justice system. The Ministry of Justice responded to this report in December 2016. There was a lot of common ground between what the Select Committee recommended and what the government is planning in relation to the magistracy. A couple of specific issues caught my attention. First, the Committee had noted that there appear to be some difficulties in ensuring that there are sufficient magistrates able and willing to undertake work in the Family Court. This has led the Ministry of Justice to make some administrative changes allowing a more flexible approach to be adopted for enabling magistrates to undertake family court work. The Ministry of Justice has indicated that it may consider special recruitment of some new magistrates who would only sit in the Family Court. However, even if it was concluded that this would be a good policy to adopt, it would require a change in the law. Any such change will therefore be some time off. Second, the Committee report and the response from the Government raise some interesting issues about the future of the Magistrate’s Clerk. The Justices’ Clerk is the senior lawyer and adviser to the magistracy. Currently the appointment of the Justices’ Clerk is made under the Justice of the Peace Act, 1997. This requires the post holder to be a solicitor or barrister of five years’ standing or be a solicitor or barrister with five years’ experience of working in Magistrates’ Courts. The Government has raised the possibility either that Justices’ Clerk would no longer be a statutory appointment, but rather appointed under new non-statutory arrangements. An alternative idea is that the functions of the Justices’ clerk might be undertaken by other officials working in the court system. 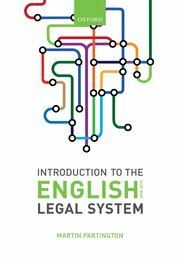 The Government response to the Select Committee report states that this question is currently the subject of a ‘private’ consultation: “A consultation on the creation of a new senior leadership structure for lawyers working within HM Courts & Tribunals Service: Proposals to make changes to the role of the justices’ clerk”. This was published in December 2016 but is not apparently publicly available. It seems unlikely that a major change to the role of the Justices’ Clerk would take place without some publication, so – again – I suspect that any change will be some time away. It should be remembered that part of the purpose of making the appointment of Justices’ clerks a statutory process was to help guarantee their independence in advising magistrates. It will be essential that this issue is taken on board in any proposals for reform. While it is unlikely that there will be abolition so soon after introduction, my hunch is that the Government will be returning to the issue in the not too distant future. Well I was both right and wrong: the Government has returned to the issue, but much more rapidly that most people anticipated. Michael Gove, the Justice Secretary announced yesterday (3 Dec 2015) that the charge would be scrapped from 24 December 2015. The announcement was made to the Magistrates’ Association, a number of whose members had resigned from the magistracy over the imposition of the charge. No doubt such a rapid change of mind will be portrayed as a U turn (though of course the initial decision to introduce the charge was taken by Gove’s predecessor Chris Grayling). But if a policy is shown to be absurd and not working, then surely it is more rational to change it rather than to doggedly adhere to it? Anyway, at least on this occasion a rapid decision has been taken to kill off a policy was had drawn substantial criticism, not just from the magistrates but more widely from the legal world. At the same time the Lord Chancellor has annouced to Parliament, perfectly sensibly in my view, that there should be a wider review of the different ways in which financial orders can be made against those convicted of crime – for example by fines, the victim surcharge, compensation orders, and making contribution to prosecution costs. The Lord Chancellor would like to see a simpler and more rational structure of these different matters, which have developed over recent years in very piece meal fashion. Part 1 makes a number of detailed amendments to the law relating to those found guilty of very serious offences, such as terrorism offences. In some cases the maximum sentence is increased from 30 years to life imprisonment. In addition, the Parole Board is given new responsibilities to assess the risk of certain serious offenders, such as those convicted of serious terrorism or serious sexual and violent offences before they are released into the community. No longer will such offenders be entitled to automatic release halfway through a sentence. Once released from prison on licence, there are increased powers to monitor such persons through the use of electronic tracking devices. If an offender who has been released on licence is recalled, the decision about what should happen to him will in future be taken by a ‘recall adjudicator’ rather than being automatically being referred to the Parole Board for consideration. Since the Parole Board can itself be appointed a ‘recall adjudicator’ it will still be involved in some decisions, but in other cases the decision can be made by a single adjudicator rather than a panel drawn from the Board. Sections 17-19 set out the restrictions on the use of cautions by the police which have long been promised by the Government. In essence, the more serious the alleged offence, the more restrictions on the use of cautions. There are a number of offences created relating to wilful neglect by care workers. In cases involving the murder of police or prison officers, where the sentence is life, the Act provides that the starting point for consideration of the minimum period of detention should be the whole life, rather than, as at present 30 years. Part 2 deals with Youth Offenders. Currently, young offenders may be detained in young offender institutions, remand centres and secure training centres. The Act provides that in addition there can be established secure colleges – designed to place greater emphasis on the education of young offenders. The Act also provides for the contracting out of the provision of services relating to young offenders. Among other detailed amendments, Section 41 amends the Crime and Disorder Act 1998 so that any youth caution or youth conditional caution given to a young person aged 17 must be given in the presence of an appropriate adult. That is already a requirement where a youth caution or youth conditional caution is given to a child or young person aged under 17. Part 3 on Courts and tribunals among other things introduces a new single justice procedure whereby proceedings against adults charged with summary-only non-imprisonable offences can be considered by a single magistrate, on the papers. This will be without the attendance of either prosecutor or defendant. The defendant will be able to engage with the court in writing instead of attending a hearing; as neither prosecutors nor defence will be attending, the case will not need to be heard in a traditional courtroom. The purpose of this new procedure is to deal more proportionately with straightforward, uncontested cases, involving offences such as failure to register a new vehicle keeper, driving without insurance, exceeding a 30mph speed limit, and TV licence evasion. In many of these cases the defendant is not present in court, either because they have chosen not to engage with the process or because the defendant has sent a written guilty plea. In such cases, the hearing takes place in an empty courtroom with only magistrates, prosecutors and court staff present. This procedure offers an alternative form of proceedings to help ensure that these cases are brought before the court at the earliest opportunity and dealt with more efficiently. The Act introduces a new principle that those convicted of crimes should be required to make a contribution towards the costs of the criminal court. The details will appear in regulations in due course. Part 3 also extends the potential use of ‘leap-frogging’ – enabling cases that are clearly going to go to the Supreme Court to get there directly, without the need for a hearing in the Court of Appeal. Part 3 also raises the age limit for jurors to 75. It also creates new offences that may be committed by jurors – e.g. using social media during a trial. Part 4 – on changes to Judicial review – will be the subject of a separate blog entry. In the Legal Aid, Sentencing and Punishment of Offenders Act, 2012, provision was made (section 85) to give magistrates greater flexibility in the fines that they may impose. Offences are divided into 5 levels – the least serious are level 1 offences, the most serious level 5. Up to now, the maximum fine for level 5 offences has generally been £5000 (although there are special circumstances where the maximum is set at a higher level). Regulations have now been made and brought into force (15 March 2015) whereby, for offences which attract a level 5 sentence, magistrates now have power to impose fines without any cap being imposed. This will mean that in cases where magistrates want to impose higher fines for level 5 offences, they will no longer have to send cases to the Crown Court for sentence. Magistrates who want to impose a prison sentence of more than 6 months still have to commit such cases to the Crown Court for sentencing. The fact that magistrates in future will have increased sentencing powers will not mean that they will automatically be increasing their sentences; indeed this is likely to happen in only a small number of the most serious cases.